Mobile devices running Windows RT have been around for less than a year, but Microsoft may already have plans to get additional manufacturers on board. 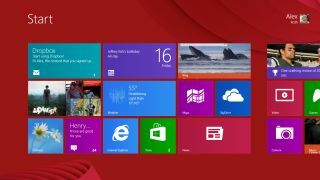 Bloomberg reported today that Microsoft could soon reduce the fees it charges hardware makers for this variant of Windows, which currently holds less than one percent of the market. Designed for mobile ARM processors, Windows RT launched in Microsoft's own Surface RT tablet, but has struggled to gain traction against a tidal wave of Android-based models and Apple's iPad, which holds a commanding 40 percent of the tablet market. Only last week, reports surfaced that Taiwanese manufacturer HTC planned to scrub plans to introduce an RT-based tablet, fearing "lackluster demand" for the operating system, which doesn't run traditional Windows software written for Intel processors. According to unnamed sources, Microsoft may be planning to stimulate interest by reducing the license fees manufacturers are required to pay for Windows RT, even as longtime partners such as Acer remain on the fence. On Sunday, Acer Chairman and Chief Executive Officer J.T. Wang told The Wall Street Journal that Windows RT is not "so influential anymore," suggesting his company might skip the OS entirely. Over the last year, only four other RT tablets have been produced aside from Microsoft's own. Companies such as Asus, HP and Dell remain committed to the platform, even as Intel continues to make advances in its own low-power mobile processors. A Microsoft spokesperson declined to comment on the Bloomberg report, but the company is expected to further discuss Windows RT as part of its annual Build developer conference later this month.